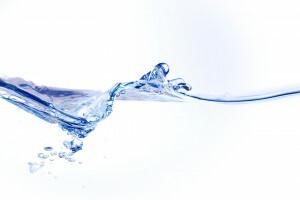 What Can a RainSoft Home Water Filtration System do for Your Water in Cleveland, Ohio? After having a home water filtration system from RainSoft installed in your home in Cleveland, Ohio, you will notice an appreciable improvement in your water quality throughout the whole house. That’s because RainSoft water filtration systems are among the most effective in the residential water treatment industry. And, it’s no accident they got that way. Our filters are the culmination of more than half a century of tireless research and development – premium products that are designed to squarely address many of today’s most common water quality problems, issues, and concerns. Even if you think your water in Cleveland is perfectly OK, a RainSoft water treatment system can take it to a different level. Our systems carry contaminant-reduction certifications from NSF International and the Water Quality Association, and are built to last a lifetime. Having your water professionally tested is an especially good idea if your family gets its water from a well or other private source. Unlike public water systems, wells are not covered by U.S. Environmental Protection Agency (EPA) regulations and are therefore not regularly tested for contamination. The EPA recommends that the water in private wells be tested once a year to determine if professional filtration is necessary. Contact your local authorized RainSoft dealer today to schedule a convenient time to have your household water tested and to learn more about the many benefits of installing a RainSoft home water treatment system.